When you fly, the person sitting next to you has almost certainly paid a different price for their seat than you did. Follow this 10-step guide to make sure you don’t get caught out with an overpriced fare. Start your search on a price comparison website, but make sure you use a private browsing window. These websites tend to track the flights you look at, then increase prices the next time you visit. So, go incognito to make sure you’re always comparing the cheapest fares. If you’ve got a bit of flexibility in your itinerary, you could actually save hundreds of dollars by choosing a flight on the right day. The flight comparison websites can show you what fares look like over the course of the month – you’ll most likely spot huge differences between the cheapest and most expensive days. Tiger Air’s $1 flights, Virgin Australia’s Thursday Happy Hour, Jetstar’s Friday Fare Frenzy… sign up to various airlines’ newsletters and you might just come across a serious bargain. If you want to score the cheapest return fare, you might be better off buying two one-way tickets. A return flight on one airline is not always cheaper than two one-way seats on two different carriers, so shop around to make sure you don’t pay more than you should. Bypassing the crowds that clog airports on Friday and Sunday evenings isn’t just good for keeping down your stress levels – it’s good for your bank account, too. Prices soar higher than an A380 on weekends, so jet off on Tuesday or Wednesday if you can. 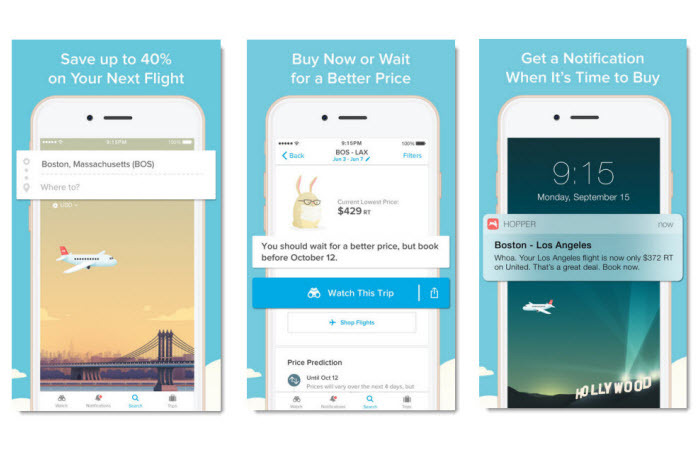 There’s no shortage of websites and apps that promise to ping your phone with a notification when the flight you’re looking for hits the lowest price, but Hopper is probably the best pick. It predicts the future price of a flight by analysing billions of fares every day. Apparently, the best time to book an international flight is around five months in advance. For other destinations – both local and international flights from Australia – there are various times that are best for booking to ensure you get the cheapest deal. For example, a flight from Sydney to Bali should be booked 24 weeks in advance, while you can get away with booking a flight from Sydney to London only five weeks ahead. Budget travellers love budget airlines – so long as the cost of adding meals, entertainment and baggage doesn’t blow the budget. The cheap base fare is perfect if you’re only carrying a small bag, have pre-packed your lunch, and aren’t fussy about watching a movie on the flight, but additional charges can stack up. 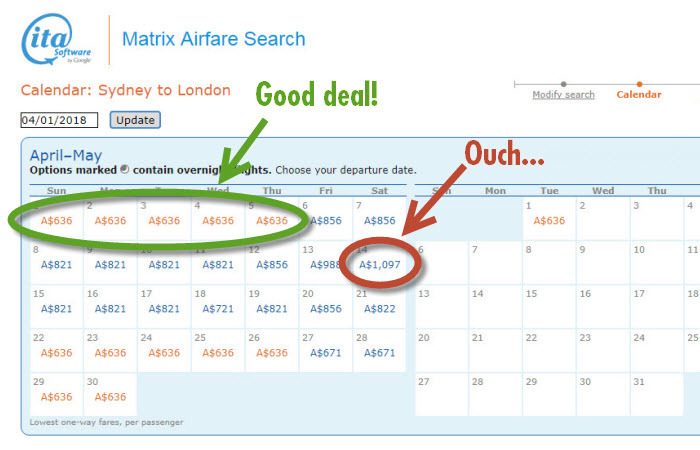 If you need to add any extras, it might be worth paying for a premium flight. When a website’s deal appears too good to be true, it probably is. Flight comparison websites and online travel agents often display an extremely low price, then sting you with hidden fees and charges that leave you paying just as much as if you’d booked directly through the airline. Price isn’t the only reason why it’s smart to avoid third-party websites: booking directly through the airline guarantees better customer service in the event of a change or cancellation and allows you to take advantage of loyalty programs like frequent flyer points.